I am super proud to see so many young people and adults learning new life skills, achieving personal rewards through Scouting in the UK. I am excited to see Scout numbers continue to rise across the UK and the big reasons for this are that more and more young people are realising that Scouting can give them so much - whether it's the opportunity to be involved with some incredible adventures, learn practical life, outdoor and teamwork skills, or helping to improve their local communities. People don't want to miss out and Scouting brings them all together, empowers them and allows them to make a positive impact. Greater London Scouting is celebrating after the number of people choosing to become scouts grew to more than 46,000 in the capital. Since 2005, more than 6,000 people have chosen to become scouts. The charity says that more girls and more adults are boosting their numbers but they urgently need volunteers to help run their scout packs. 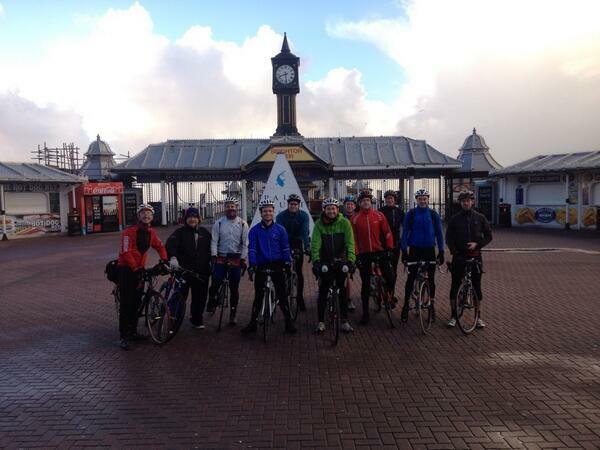 London scout leader James Ketchell has cycled his way into the record books. He's the first man ever to bike ride around the world, row the Atlantic and climb Mount Everest. All after being told he'd never walk again. He's told ITV London, it was his family and friends that helped him push through. I am super proud of @hampshirescouts ambassador @captainketch who has completed his round-the-world cycle ride. An inspiration to many! A London Scout leader has cycled his way into the record books after being told he may never walk again. James Ketchell, who was seriously hurt in a motorbike accident is thought to have become the first man to have rowed the Atlantic, climbed Mount Everest and completed a global cycle ride. The 31 year-old crossed the finish line in Greenwich Park this afternoon. In 2007 he shattered his ankle in a road accident, but he rose from his hospital bed to complete a remarkable recovery. Mr Ketchell was swamped by 150 people including family, friends, Scouts and sponsorship supporters when he crossed the finish line today. He completed the challenge in aid of the ELIFAR Foundation, which aims to help improve the quality of life of disabled children and adults. He said: "It's an incredible feeling, I'm just so happy and relieved to have done it and hopefully I've inspired other people to achieve what they want to do in life in the process." "I've met some amazing people along the way, people taking me into their homes, and visiting kids in schools, hospitals and obviously Scout groups, it was a once-in-a-lifetime experience and I hope I've done them justice in a way and repaid some of the generosity they've shown me." Mr Ketchell rowed the 3,000 miles from La Gomera to Antigua in 110 days, reached the 29,029-foot summit of Mount Everest in six weeks and cycled 18,000 miles around the world in just under eight months. The global cycle took him through over 20 different countries. Can youth groups help cut crime? Ten million pounds is being spent to bring youth groups, like the Scouts, to areas hit by last summer's riots- with the hope of cutting crime. Hackney and Tottenham are among the places which have been ear-marked but critics say there are better ways of spending the money. The Queen will honour hundreds of high-achieving scouts today.